"I went into the stands and watched it, it was a fantastic race. Those guys just absolutely went for it. I was on my feet after the first 100 metres and I’d lost my voice by the end of the race. To be there and watch that sort of a race, and the crowd getting into it as well, was very exciting." Fast 1600'ms out of Cali state meet! 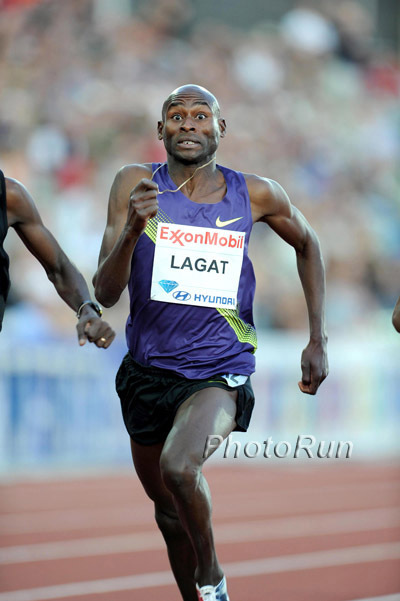 If Lagat can run 12:53 right now past his prime, how fast could he have been? LRC The Week That Was In Running This week we give props to Bernard Lagat for his new 5000 AR and praise him for not putting it out of reach earlier in his career. 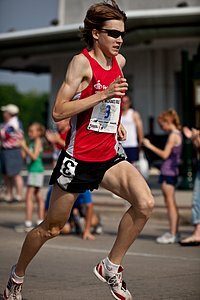 Along the way, we also ponder if Dennis Mitchell is still a cheat and we give out props the arguably the most ignored American runner on the planet and ask you if you can tell us who has the Colorado school record at 5,000 meters. 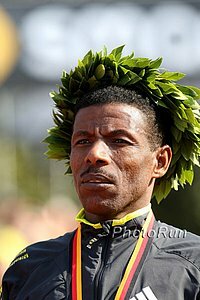 We also give props to world xc champ Emily Chebet, Haile Gebrselassie, Marry Wittenberg, Renato Canova and Nick Arciniaga. Plus our Race Video Of The Week and much more. adidas Grand Prix start lists The meet will be on live network television (NBC) in the US from 4-6pm eastern on Saturday. The women's 1500 and men's 800 are the top distance races for LRC fans.